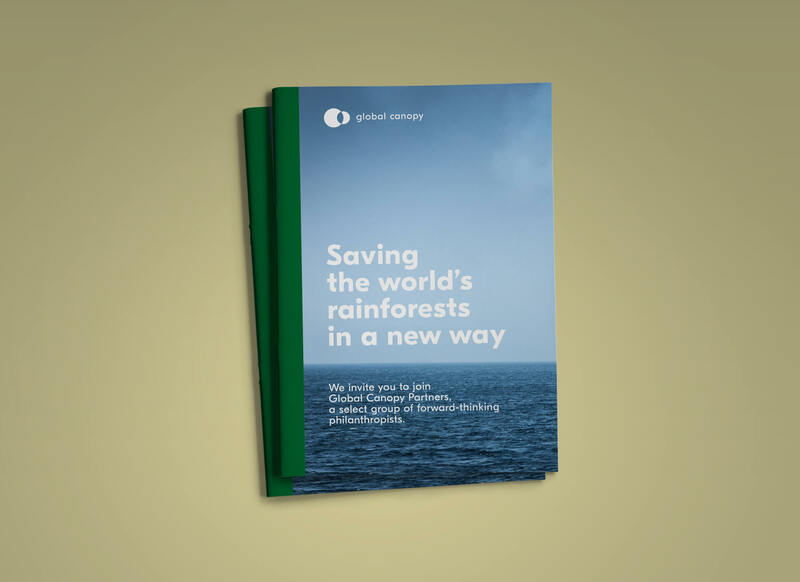 Global Canopy is an Oxford-based NGO, with a mission to accelerate the transition to a deforestation-free global economy. 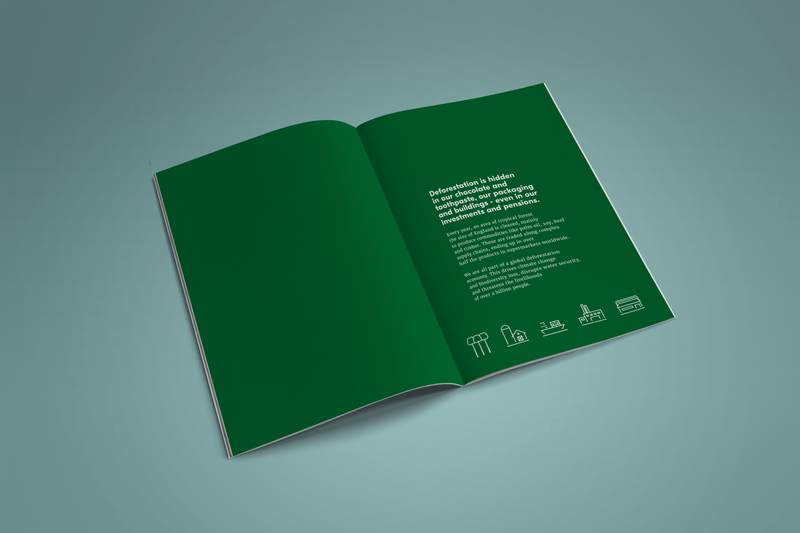 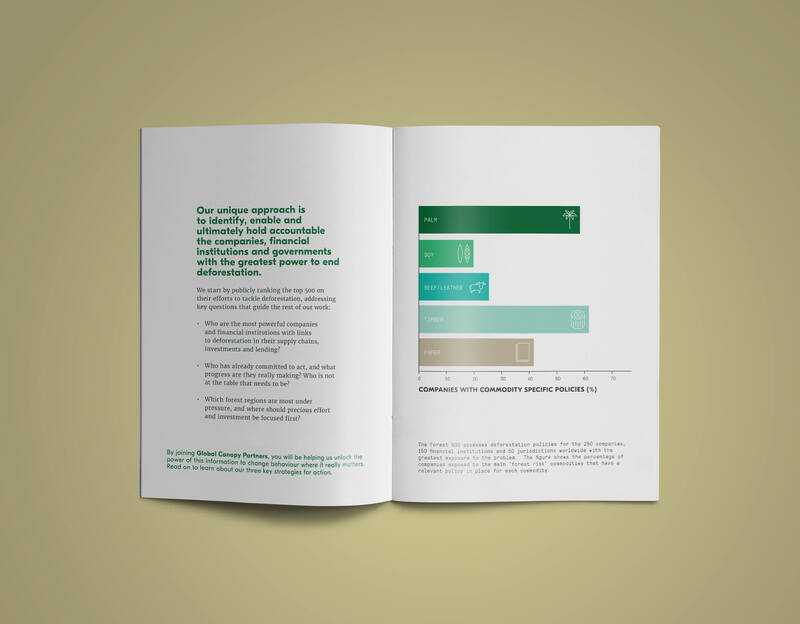 We were assigned to design a booklet for an event in London, UK. 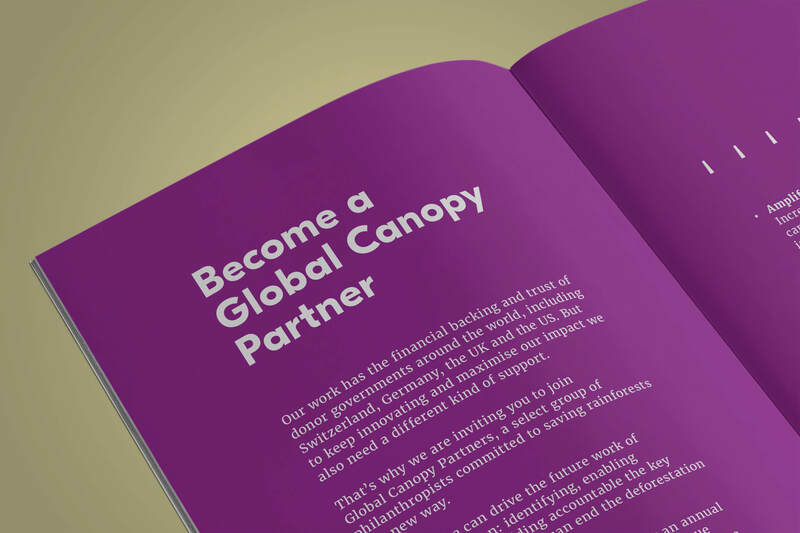 The idea was to showcase the organization's mission, alongside a selection of tools created by Global Canopy, in a simple but impactful manner. 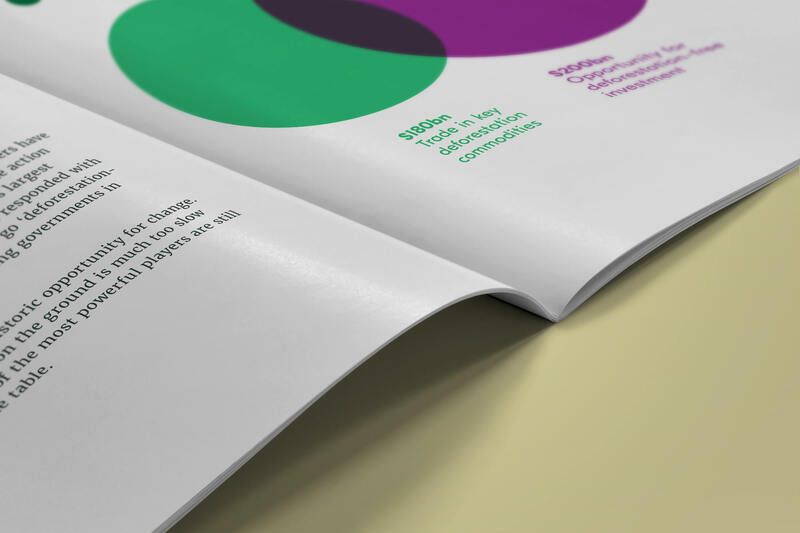 We chose a classic double-pin binding , 160gsm uncoated paper for covers and 120gsm for the insides. 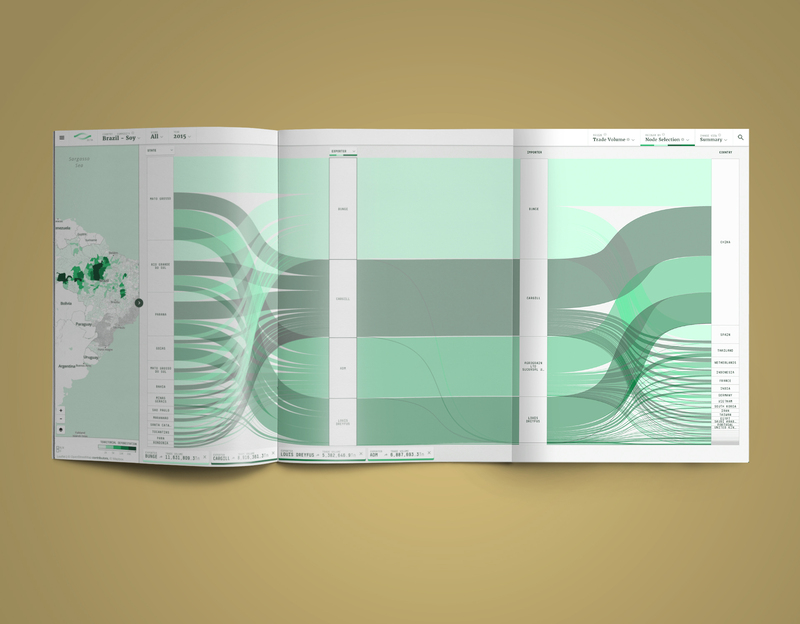 Also we created tri-folds on the cover and an inside spread tosymbolise the way Global Canopy works: by unveiling precious data, which indicate deforestation drivers. 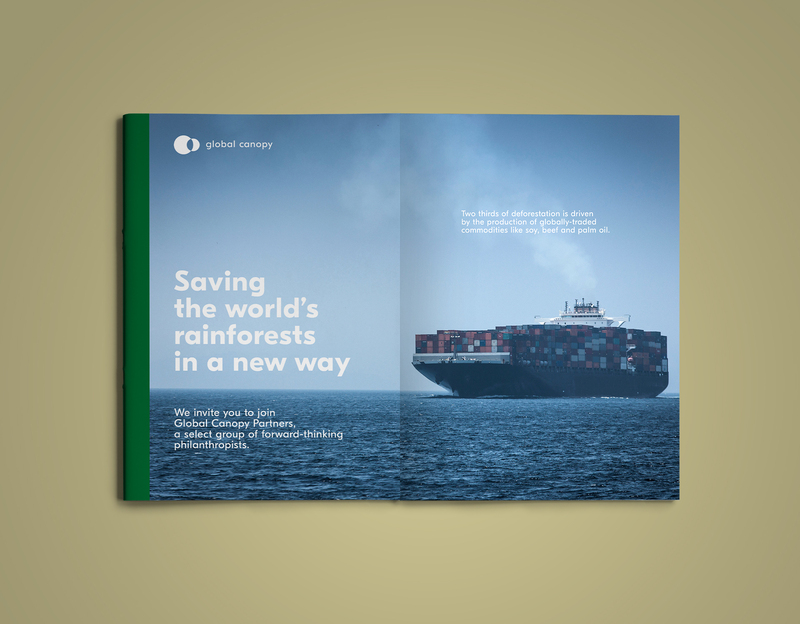 The second tri-fold is also an effort to simulate, the way trase platform works in an analog way (created by Global Canopy and Stockholm Enviroment Institute).